Hi, I'm Zoe one of the female instructors at Mitchell's school of motoring. l have been a driving instructor for several years and it's the best thing l have ever done. I enjoy meeting lots of different people and what better job could l do it in. The satisfaction l get out of my job is fantastic, when pupils pass their test, the smiles and relief on their faces makes my job so worth while, knowing that you have help them to get an independance that can open so many more doors for them is just amazing. 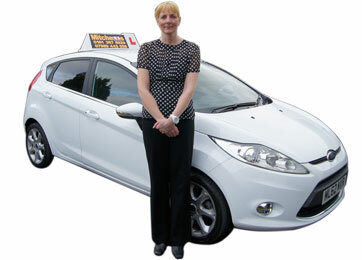 What ever your age, level of driving, new drivers, partly trained or just needing a refresher l can help. We can work at a speed that suits you, and my relaxed, friendly and patient approach will soon have you feeling at ease, so even the most nervous drivers need not worry. You will recieve your own personal pack which has information about all the subjects that will be covered and with our progress sheet you can also keep a eye on where you are up to on your journey to become a safe driver. I cover the Glossop, Tameside and Stockport areas.